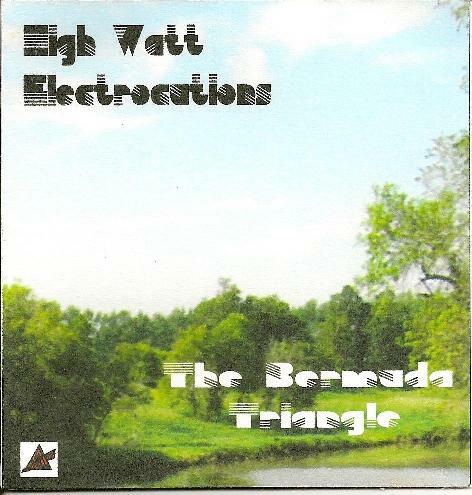 High Watt Electrocutions - "The Bermuda Triangle"
Far more melodic than their previous releases, HWE's The Bermuda Triangle recalls the improvisational sides of Amon Düül II's classic Yeti album but with an updated neo-psychedelic edge that has much in common with Spiritualized and early Porcupine Tree. Layers of chiming guitars (both electric and acoustic), impressionistic keyboard textures, motorik percussion and electronic effects fill the massive title track (nearly 40 minutes long) and infuse it with the same kind of aching melodicism and propulsive drive that decades ago characterized the earliest kraut rock groups such as Neu, Cluster, Harmonia, as well as their various offshoots. Despite the chapter divisions that serve to separate the track into discrete parts, it runs continuously as a seamless whole, creating the overall feel of music written as a soundtrack to an imaginary documentary film. Judged by this criterion, The Bermuda Triangle succeeds admirably. Some sections have fairly conventional rock structures while other sections mutate into atmospheric snapshots of gamelan scales and tribal rhythms. Ultimately, there's a Floydian aesthetic at work here: a rapprochement between minor-key pop melodicism and the demanding structure of extended orchestral art music. And as with the Floyd, the final result is both expansive and emotional, perhaps requiring some more pruning and advanced editing of the material. For High Watt Electrocutions, it's an intriguing departure and merits further investigation on future projects.